Google is updating its features regularly and it gets quite interesting and exciting each day. One of the best features of Google is making it possible for the content developers to showcase their content on the result page with specifically designed wide array of tools. A new update added recently makes the content addition even more precise and direct to the Google’s Index. The process is very simple. Search in Google for “submit URL to Google”. A box gets displayed, where you add your URL. That is all! The URL gets submitted to the Google’s index. 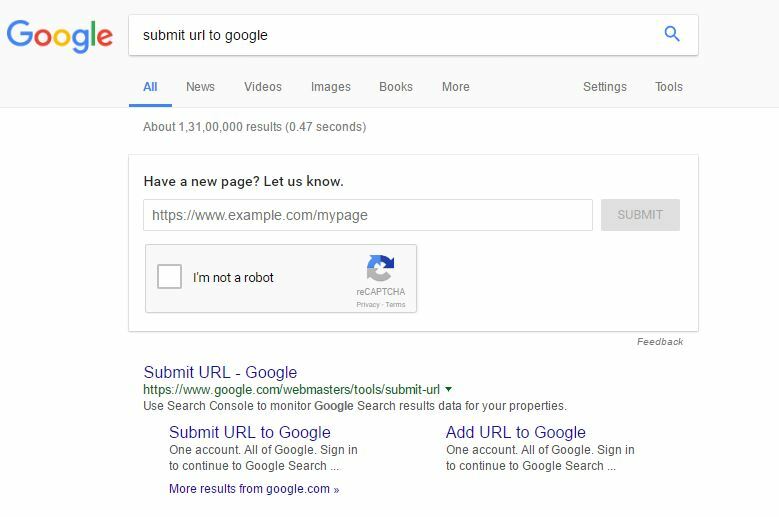 The above feature works similar to “submit URL form” tool, but with an advantage that the URL is placed directly in the search results. Submitting does not mean that the page you added will get either ranked or added in the index immediately. Only after a review Google decides to index and show it in the result page. So better get strong with SEO and make your content and webpage optimized for Google to spot your URL and index it right away. For a through guidance on SEO you can reach E-Search Advisors which will introduce you to every key concepts of SEO practically. when i read This Article its seems very interesting, fruitful and amazing.